I Run Ultras.com: Running Hope Through America - CONGRATS !! Running Hope Through America - CONGRATS !! Imagine spending 62 days away from home on the road. 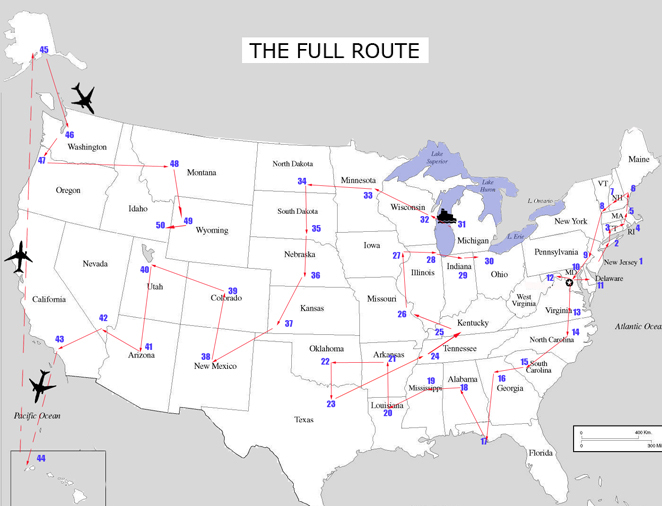 Now imagine running 50 miles in each of the 50 states during those 62 days. That's 2,500 miles, and that is what Lisa Smith-Batchen is about to complete. What began on April 19 in Morristown, New Jersey is about to come to an end today in Victor / Driggs, Idaho. I just finished up a phone call with one of Lisa's crew members, Mike Evans, and they are all well on their way to wrapping up the final 50 miles. The project, Running Hope Through America, is raising money for AIDS Orphans Rising - an organization that provides food, housing and education to children orphaned by AIDS. "There are literally millions of them all over the world and theirs is a life of poverty and deprivation." I had the honor of spending some time with Lisa and her crew during their 50-mile run in Littleton, Colorado, which included a visit to the Columbine Memorial (quite an emotional experience). Lisa took us to the memorial, where we first visited the "Ring of Healing" - designed to honor all those who were injured, the first responders and all those who were touched by the events of April 20, 1999. The wall consists of many engraved stones with quotes from students, the community, parents, first responders and notable statements that were made at the groundbreaking of the memorial. The most emotional part was moving inwards to the "Ring of Remembrance" - where each of the victim's families provided a unique and personal reflection in text to honor their loved ones, which are engraved in stone and stand as a tribute to the victims at Columbine High School. Many, many, many congrats to Lisa and her crew for such an amazing accomplishment!